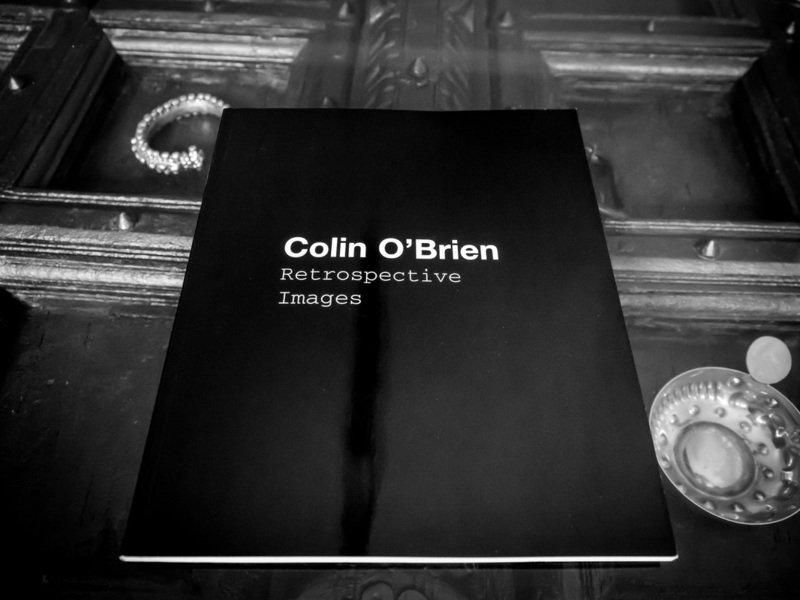 Colin O'Brien was an amateur photographer who recently passed away. I wrote about him on a blog post you can see HERE. I saw a notice of his passing on a forum and I went back to his images and found his website and purchased this book. It is inexpensive considering the wonderful images it contains. I bought the book unsure if it would arrive as his recent passing has probably thrown the family into some disarray. A couple of weeks after I purchased it the book arrived home. It is a medium size book, won't fit in a pocket but easily held in your hands and it shows images spanning 50 years. Mr O'Brien intrigues me because of his amateur nature. Here is a man who worked in a traditional job, and took his camera out on weekends and when on vacation. His images give me hope that I can attain some semblance of his ability. 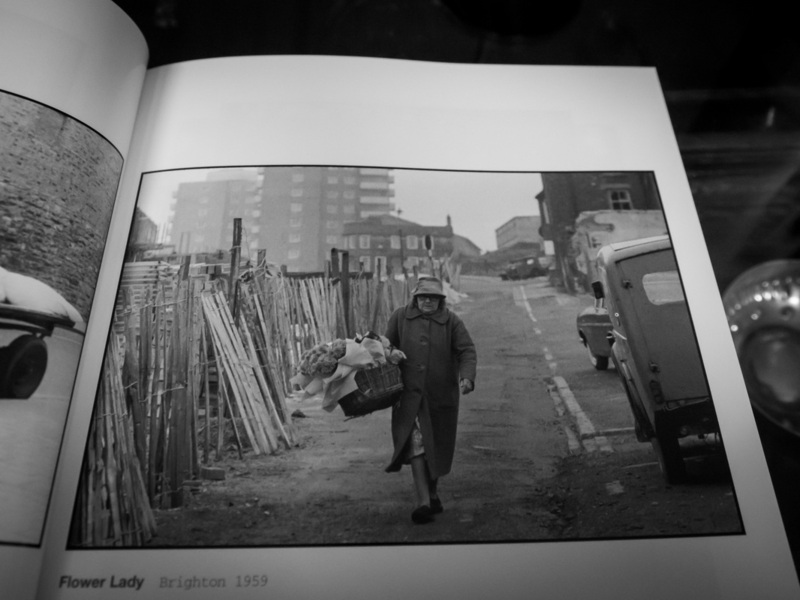 The book has a mixture of portraits, environmental portraits, street photography and landscapes. It is the eclectic genre that I love from amateurs as they do not have to select a style and stick to it. Mr O'Brien was good at it all but he was spectacular in capturing scenes of everyday London life. You will not find the high society, suits and tie kind of people. 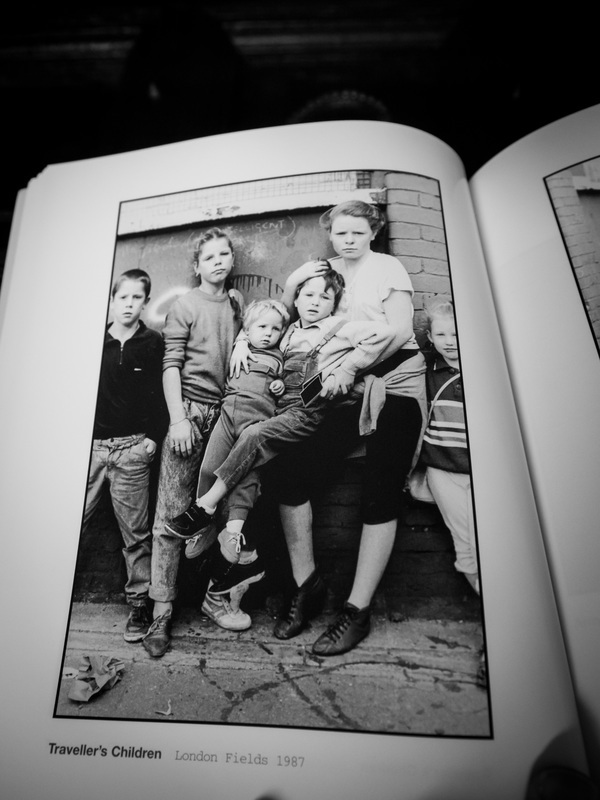 He shot pictures of his neighbors, of people he met and interacted with every day. Each shot is poetically composed and the gestures he captures in his portraits are authentic and natural. 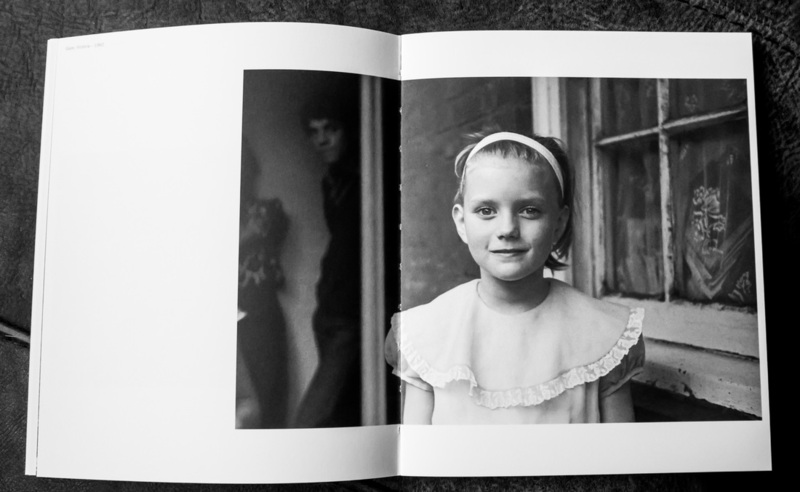 The image to the right is one of my favorite with a young girl, dressed in a white dress with her parents looking on from a slightly blurred background. The window to the girls left, slightly weathered, contrasts so wonderfully with her perfect white dress. Her facial expression is one of pride, happiness staring out into the world while her father looks on with a mixture of pride and trepidation. The image to the left is a perfectly composed environmental portrait (some may consider it a street photograph) of this wonderful lady and her burden walking down this long street. You can see the neighborhood behind her, a determined foot leading her way while the long fence leads the eye to the street she is coming from. The exposure is dead on, with the early mist or fog hiding some of the farther off apartment buildings. Mr O'brien was also a gifted darkroom magician which is rare with photographers. Each of his images shows a careful attention to the detail of exposure. The tonality is protected without being killed with contrast. He has a delicate hand and each image shows this. 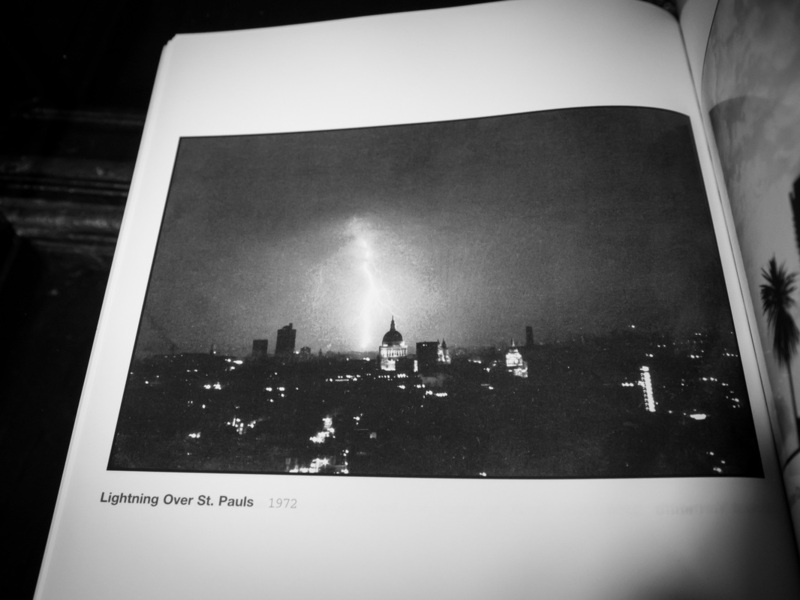 His image of Lightning Over St. Pauls is a difficult shot to capture on digital and on film is almost impossible. His technical skills with a camera are clear and this image is a powerful one. The dark silhouette of the city with the bright reflected background from the lightning is one of the best I have seen captured on film. Some of my favorite images of his are the ones of the Traveler's Children. Here he used a Polaroid camera (you can see the Polaroid pictures in the hands of the kids at left) to build trust with the people he would shoot. He would share the Polaroid with them and then ask them if he could take another using his 35mm camera. The images he captures, facial expressions, gestures and stance are amazing. He does not show these kids in bad light. He does not emphasize them in any way. He captures them with respect, the kids looking like kids, at times bored and at other times happy. If you want to see some amazing images of London through the years this is a great place to start. Colin O'Brien had a great deal of talent which was mixed with his broad genre selections. His ability to capture people in a very natural way fills me with envy. While an amateur in name, there are few professionals which I would consider in his league. I have also bought his book "65" and will share it with you all once it arrives. My thoughts are with Mr O'Brien's family. I am however, very happy I discovered his work and will be able to enjoy it for years to come. If you want to see Colin O'Brien speak of his photography have a look at this YouTube site HERE. To visit his web page go HERE. To buy his books go HERE. 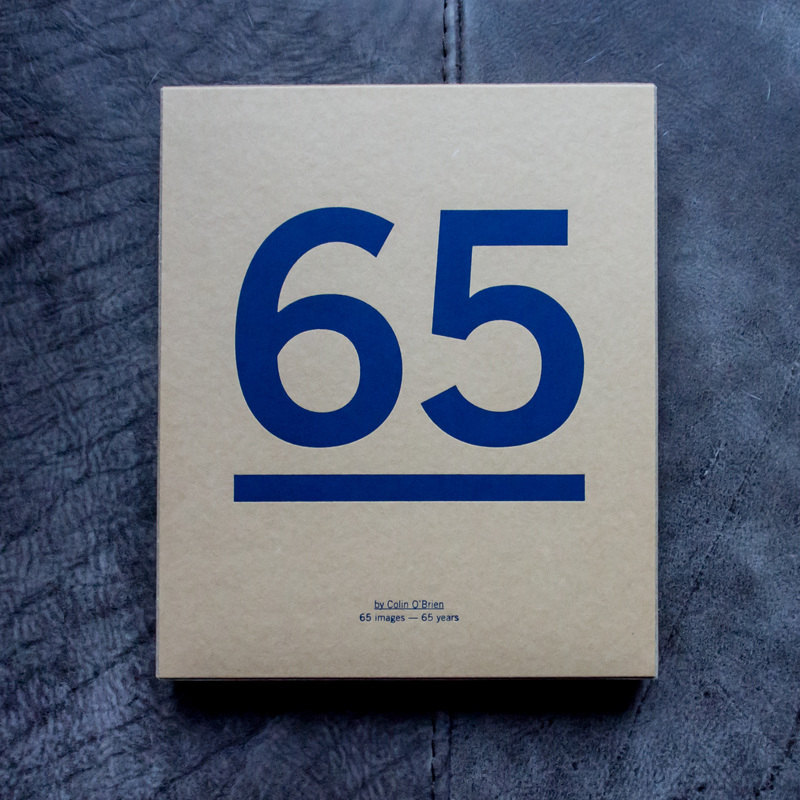 After purchasing the Retrospective Images book I felt I had to see his book titled "65". 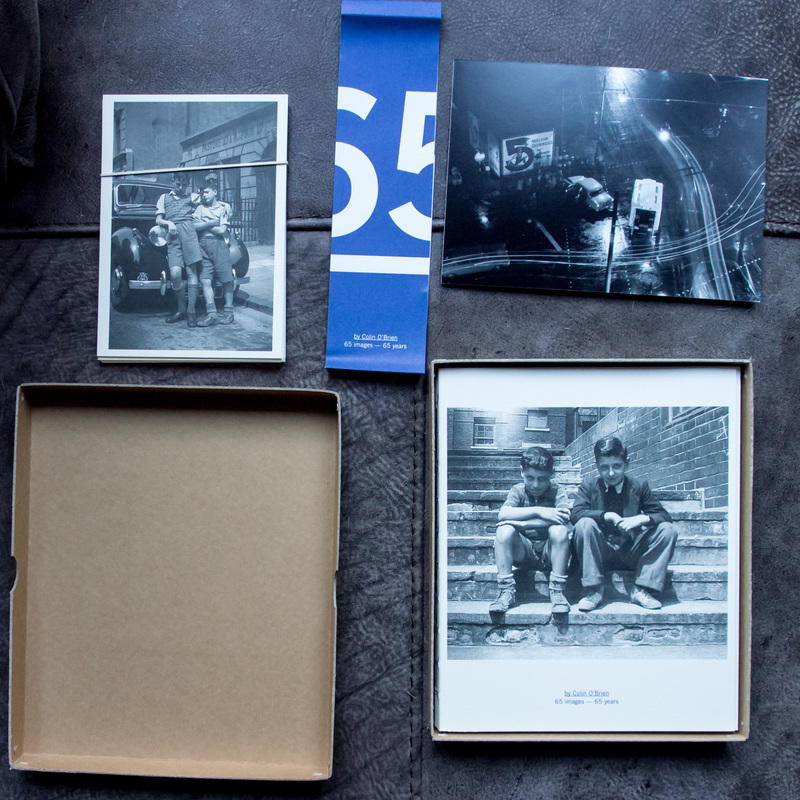 The concept is a simple one, 65 years of photographs expressed with 65 images. The book itself comes in a wonderful box and is the size of a traditional iPad. I like the size of it as you can easily hold it to look through the images. The print quality is fantastic and the binding is fairly nice as well. Note that the binding is visible as the presentation box replaces a traditional cover. This is an interested way to present the book and the more I looked through it the more I liked it. Inside the box is the book wrapped in the blue band seen at left. There is a stack of postcard type prints and one wonderful print signed by Mr O'Brien. Again I must say I am impressed with the presentation and the delicate touch of adding the postcards is wonderful. In my office I am surrounded by photographs that I have taken or that my favorite photographers have taken. Most of these are in postcard type prints and as I look around I see pictures from Sabine Weiss, Josef Sudek, Paul Strand and Hanri Cartier Bresson. This format makes it easy to hold up the prints, put them on my book cases and move them around. Normally I buy the postcard prints separately so it is wonderful that I have these for Mr O'Brien's work as well. In a few weeks I will pick out my favorite and hang them up. It always takes me a few weeks to digest images and decide what I like best about each one. I enjoy going back to each image and seeing them over and over again. Really great photographs continue to speak to you long after you first see them. As I have mentioned before, I like the fact that Mr O'Brien was an amateur photographer. This is not a form of solidarity but rather the fact that as an amateur, he only took images that interested him. This makes it easy to see his style coming through. We also get the chance to see the same neighborhood evolve over time. One striking thing about Mr O'Brien's work is that some of the places repeat as the subjects in them change. This is a staple of amateur photographers, we go back to the same places and shoot the changes we see there. People, cars and signs all change but the appeal of the environment does not. Here we see the same porch and what appears to be the same young girl. The window sill is a bit more weathered and the girl has grown a bit, but has not lost her wonderful expression. This revisiting of places brings so much more to his body of work as you feel that you are growing and seeing the place evolve just as Mr O'Brien did. He takes you along for the journey. 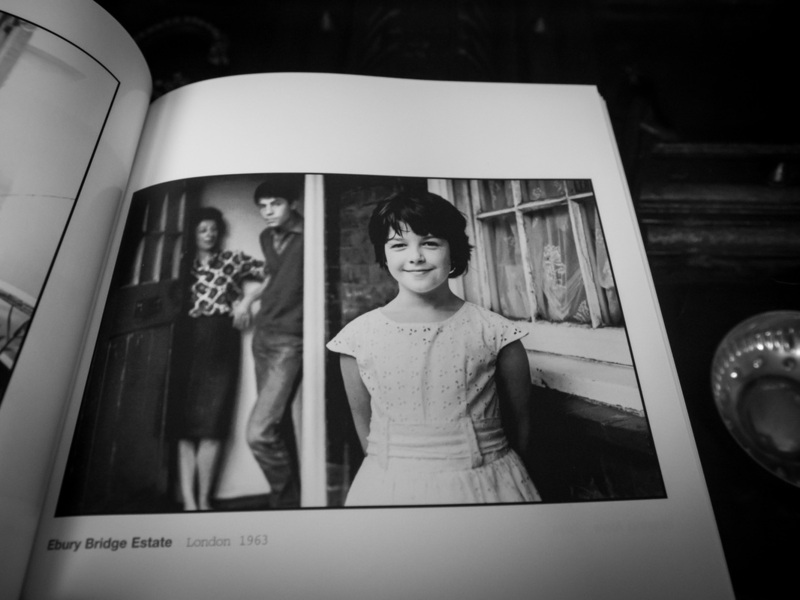 There is another shot in the "Retrospective Images" book of the same porch and what may be the same young girl (see the image above). Again this is a fascinating opportunity to see people and places evolve. This is a rare treat indeed!! Mr O'Brien has what I would categorize as four separate themes to his photography, street scenes from above, street photography from the ground, portraits and the occasional cityscape shot. The street scenes shot from above gives us the view of a bored kid looking out the window and grabbing some fantastic images there. This reminds me of my childhood in my grandfathers apartment, looking down on the streets of Buenos Aires. Mr O'Brien captures this feeling beautifully and makes me wish I had a camera way back then. Images shot from above can have limited compositional options, yet Mr O'Brien seems to have nailed it each time. 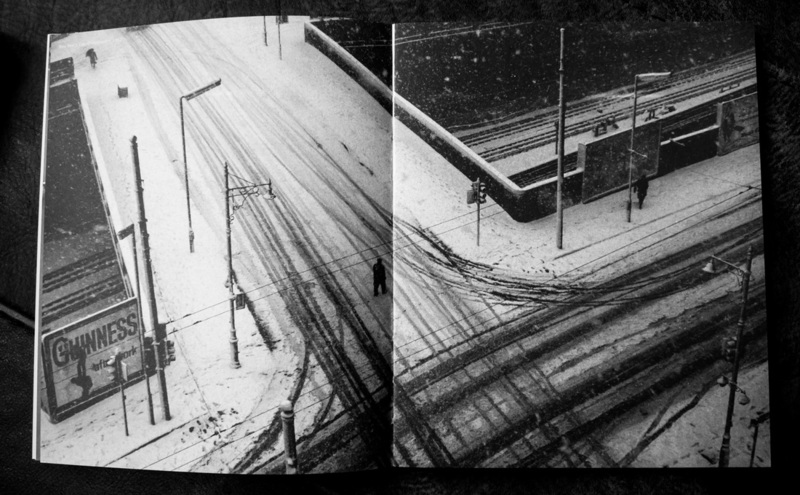 The shot to the right showing the snow with the deep black street below it, and a single man walking across the street (there is one hidden in the shadows as well) is perfectly put together. His portraits of children on the streets of London are beautifully captured as he does not highlight strife or suffering but rather the joy and innocent nature of the kids playing. 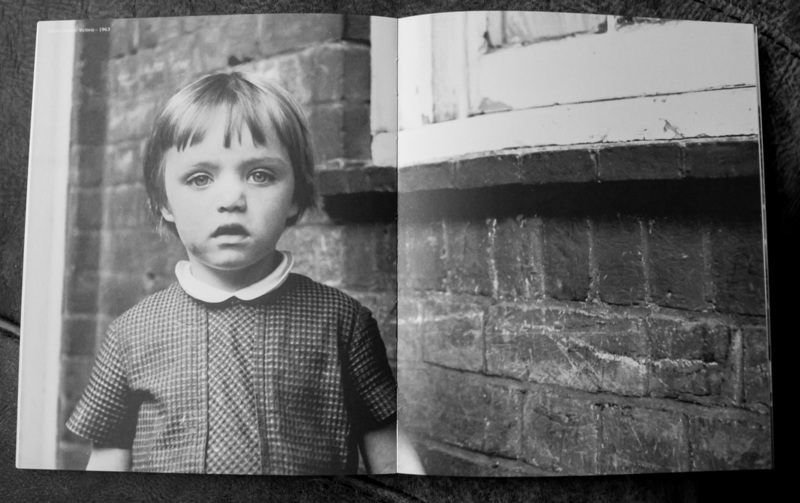 These haunting images are amazing images, so much so that I purchased a third book by Mr O'Brien titled "Traveler's Children in London Fields". Each of Mr O'Brien's "65" books has a signed print and the book is individually signed and numbered. Only 400 are printed which makes each book a limited piece of London history. 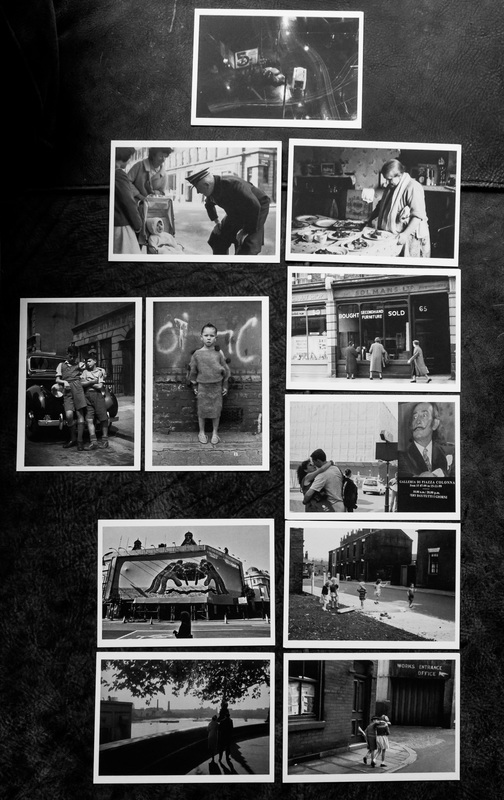 Each of the 11 beautiful postcards that come with the book, excellently show how diverse of a photographer Mr O'Brien was. 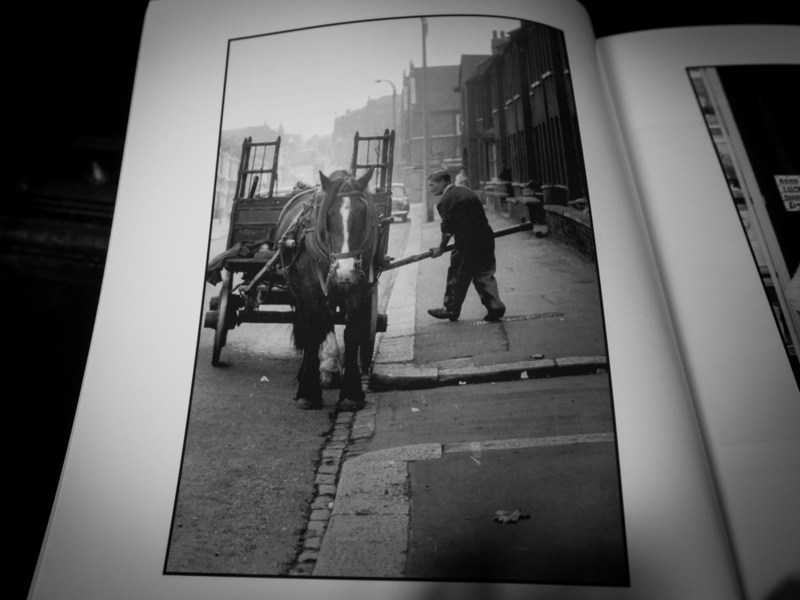 He captured London for 65 years, its working class people, its street and its personality. 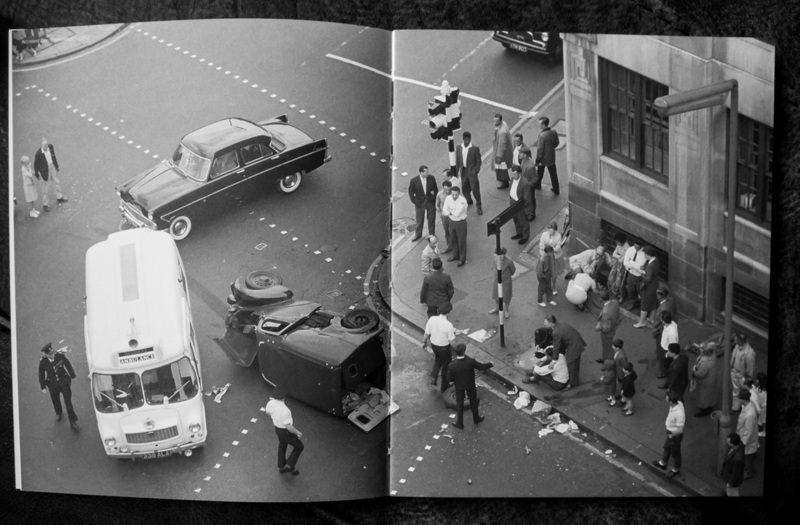 To look through "65" is to gain a intimate view of the marvelous city of London. I am thrilled to have discovered his work, and am very sorry I was not able to meet the man. I will hang his pictures in my office and will develop a relationship with each one. ​For those who like photography books, I highly recommend this one. Unlike the mass produced books, this one has been carefully assembled and gives more to us than many others. Mr O'Brien's wife continues to dispatch his books in a timely fashion just visit his website (links above) to place any orders. "Without deadlines or editorial demands O'Brien was free to document the world his way, searching for slices of fact that, when laid together formed their own personal fantasy."